Experience transfer speeds up to 10x faster with SuperSpeed USB 3.0! 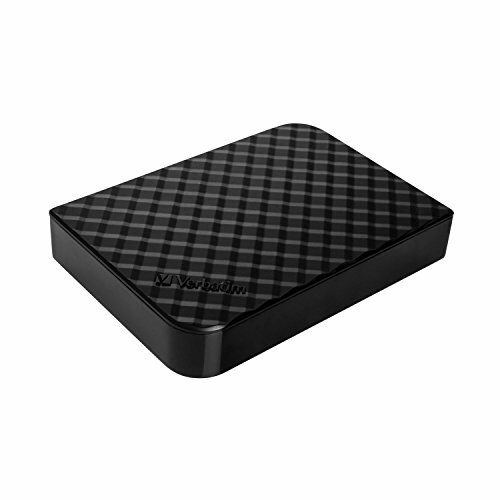 The Verbatim 2TB Store ‘n’ Save Desktop Hard Drive features a unique, diamond-patterned finish and comes with the fastest USB connectivity available. SuperSpeed USB 3.0 lets you blaze through demanding tasks by reading and saving files faster. The Store ‘n’ Save Desktop Hard Drive comes pre-installed with Nero backup software for full system backup and restore functionality – schedule automatic backups by date and time, or encrypted backup with password protection. The Store ‘n’ Save Desktop Hard Drive has rubberized feet to prevent slipping and ventilation slots incorporated into the enclosure design to allow for quiet, fan-free operation. Backed by our industry-leading 7-year limited warranty, the Store ‘n’ Save USB 3.0 hard drive lets you save your precious photos, videos, graphics, games, music, data and more with confidence. Durable desktop drive - 2TB storage and USB 3.0, up to 10X faster than USB 2.0!